I was in his bed, working on a document Hanji gave me. She said that something bad happened during the trip one week ago. I finished up my last paragraph and put the papers away. I went to the living room and went to the binning table. He stopped what he was doing and slowly turned around. Here looked at me and frowned. I blinked twice and frowned. "Because I said so." He said raising his voice a little. I got up, and walked to my room. I opened the door and went in. I shut the door and laid down. I looked up at the ceiling and thought if what I would do when the child come in like 4 months. I&apos;m a neko what do you expect. The door then bursted up. She jumped up and slammed the door shut. I looked at her then shock my head. "Oh, okay. Well that&apos;s good." She then started walking out. I walked down the hall with the paper and heard little foot steps coming from behind me. I stopped and looked behind me, and it was Levi in his cat form. I smiled and waited for him to catch up with me. He jumped up and climbed to my shoulder and stayed there. 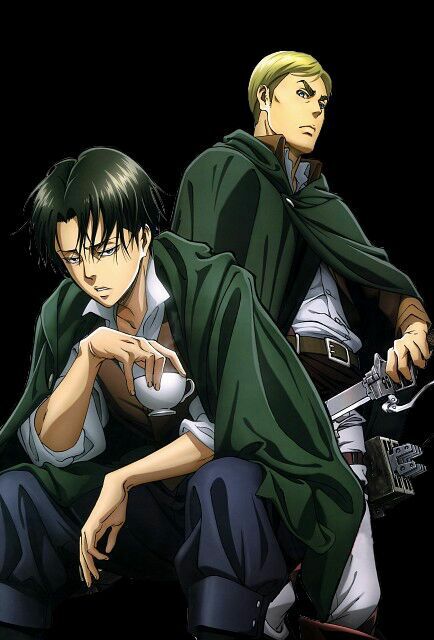 "Haha, your funny Levi." I said as I patted his head. I walked into the kitchen and saw Eren making cake batter. "Oh, I like him like this." I said scratching him under his chin making him purr. "Oh, hello Hanji.... 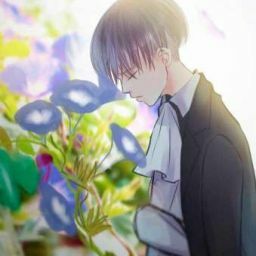 Levi." Mikasa said as she walked to where I was. Levi looked at her then crawled a cross my shoulders to hers. He sat there and rubbed himself all over her. Levi turned his head and jumped off her and ran to Isabel and Farlan. I watched as cat Farlan, Isabel and Levi played around on the carpet. I got up and walked to her and followed as she lead us to the kitchen. He then shut the door, I sighed and walked to my room. I was so tiered I couldn&apos;t go to sleep last night, my stomach hurt and it felt off. I shock my head and went to my bed. I jumped on it and layed there, until the door bell rang. I groaned and got up, I held my stomach cause it started to hurt. I went to the door and opened it. I looked up and saw, Erwin Smith. He walked to the living room and sat down. I walked to the living room and sat down, I watched as Erwin played with a peice if string. I nodded and got up, but stopped when it started to hurt again. "In the right cabinet by the stove." I said. I filled them up with water and placed them in the counter. I got out the bottle from my pocket and looked at it. I smiled and got one out and dropped it in his glass. I let it dissolve so he wouldn&apos;t notice. It stopped, I got the glass and walked to the living room. I set the Levis glass down in front of him and drank mine. He nodded and raised the cup up to his mouth and drank it.